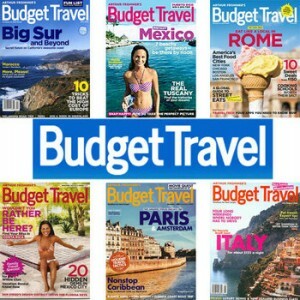 Budget Travel Magazine Subscription For $2.99 | A Savings WOW! Here’s a great deal on Tanga for a 1-year subscription to Budget Travel magazine (10 issues). The normal suggested retail price is $23.70 per year. You can get a subscription for only $2.99 per year when you use the coupon code BUDGET at checkout through October 18th at 8:59 PM CST. Travel to the exotic reaches of New Zealand or the islands of Hawaii – and do so at a tremendous discount. This is where your handy Arthur Frommer’s Budget Travel guide comes in. In this invaluable magazine, you’ll find travel opportunities that most people never hear about, and you’ll save hundreds of dollars whenever you travel and wherever you go. Every issue contains helpful articles about practical bargain vacations and the best resort bargains for the budget traveler. Order your Budget Travel magazine subscription for only $2.99 today!